How self-service analytics, data democratization and data education can take collaboration to a whole new level. 2013: Nearly 3,600 photos are uploaded on Instagram, over 100,000 Tweets are posted, and Google processes more than 2 million searches, every minute. Fast forward to 2017. For 456,000 Tweets a minute, we have 527,760 Snaps – a major disruptor. Also, Google now handles around 3,607,080 queries and 46,740 images are added to Instagram, a whopping 1,198% jump. That’s the rapidly growing world of data we live in. Clearly, the information age is gradually reaching an inflection point. With users continuously extending this global reservoir, data today is quite literally everywhere, and how we harness it is more important than ever before. Critical information has traditionally been the arena of vigilant gatekeepers, IT departments, and statistical analysts. It’s only in the last few years that C-level executives have woken up to the benefits of adopting a collaborative approach, where employees across the board have access to the warehouses and the tools required for data analysis. A 2016 study found that individuals are responsible for creating 70% of the global data streams. However, more than 80% of it is stored by enterprises, where it’s usually segmented, categorized, and kept in fragmented silos which may or may not be analyzed. And as it turns out, there’s no one in particular to blame. Data scientists face a major time crunch, with the bytes pouring in reaching quintillions. A study by IBM found that key executives spent over 70% bandwidth simply gathering data, and only 30% analyzing it! That’s exactly why enterprises are looking at new ways of sharing information, embracing data democratization that ideally offers access to anyone who requires it. But if that’s the ideal scenario, what’s holding us back? Why do businesses hesitate to give complete and autonomous access to lay individuals? What’s stopping today’s brimming data lake from being channeled into numerous, smaller, and more manageable streams? First, CxOs remain concerned about security, and recent trends have only reinforced the anxiety. Earlier this year, a massive data breach at American credit reports provider, Equifax, impacted over 145 million consumers – inspiring the hashtag #Equifaxed as a marker of all things unprotected. The fix: Smart investment in cybersecurity measures can address this challenge – in reality, most threats are external, and the vulnerabilities must be addressed regardless of whether the data is democratized. Second, if multiple teams are working on the same data, this might lead to duplication of effort, as opposed to having a centralized team dedicated to analysis. The fix: While some redundancy is unavoidable, the upside is that many new perspectives are introduced. We might be looking at the same data, but we will have different ways of looking at it! Third (and this has sparked a lot of debates), data experts remain apprehensive that ‘non-technical’ employees could misinterpret data, and take bad decisions based on their analyses. 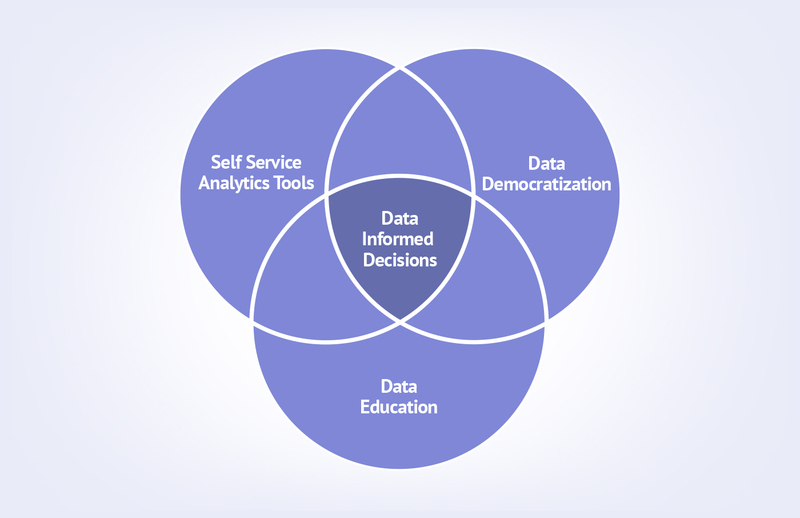 The fix: Data education, and self-service analytics. 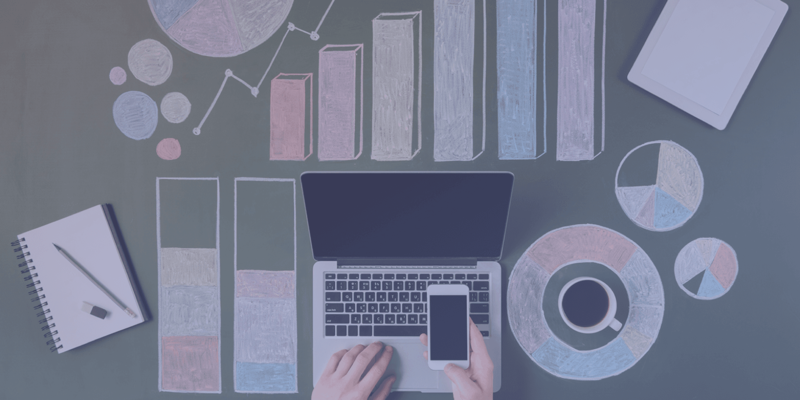 Simply put, self-service analytics tools are Business Intelligence (BI) platforms in a more-easy to use, less complex avatar. Expectedly, it requires minimal technical proficiency – empowering the everyday user to retrieve relevant data, perform queries, and even generate reports without the intervention of IT experts. This offers the all-important advantage of freeing up your BI team, whose bandwidth can be rerouted to more critical (and demanding) tasks. From collation to visualization and insight generation, modern self-service applications scale down traditional analytics, bringing it within the reach of regular consumers. In fact, Gartner predicts that very soon, a majority of business users will have hands-on access to some kind of BI platform. The downside? Only a fraction – 1 out of 10 initiatives, to be exact – will be well-governed, resulting in positive outcomes. The remaining 90% are expected to struggle with data inconsistency. Clearly, sourcing, recruiting, and assembling a team that covers all these touch points requires effort. There’s a lot of data, so we need more people – and with expanding the pool, comes the need for heightened security, simpler tools, and investments in data education. So, can you do without it? Look for employees genuinely interested in tech movements, new trends, and the possibilities of using digital tools to unearth insights. Leaders must bring foresight and forward-looking ideas to identify the right data today, that leads to the best decision tomorrow. Analysts should be able to take complex ideas, and relate them effectively and accurately to high-level business users – without the need to deep-dive into methodologies. 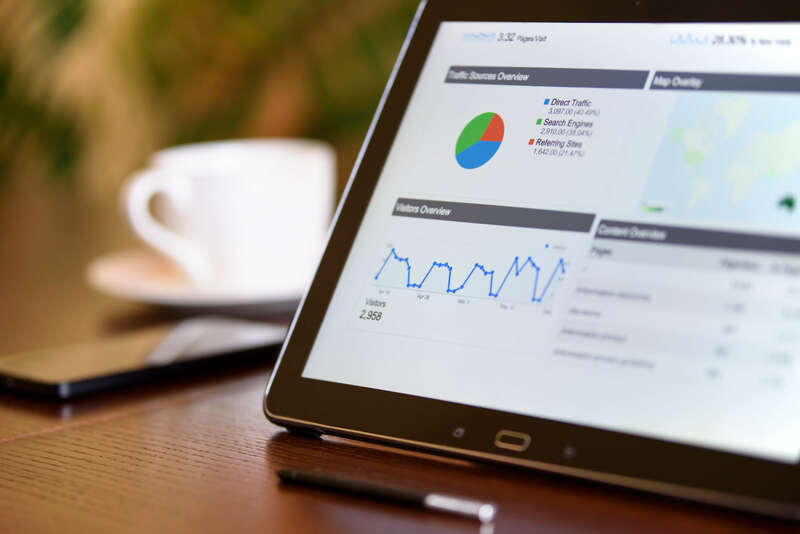 Not just technical understanding, this requires a clear connect between data and impact, identifying the relevant data sets to assist the business problem at hand. Finally, an often overlooked trait is the patience, confidence, and perseverance that’s at the heart of a long-term project. While there’s may be little to show during the initial stages, ‘sticking to the plan’ can unlock manna: the outcome you were originally looking for. At the end of the day, the key to addressing this gap doesn’t lie in more robust hardware or advanced software. The industry must look at fostering data education, from the ground up. This would create a unique, hybrid-skilled segment called the ‘citizen data scientist’ – business users without a background in data analysis techniques, yet able to correctly and effectively utilize analytics tools. According to Alexander Linden, Research Director at Gartner, this group is slated to expand 5 times faster than the highly-skilled community of data professionals over the next few years. And the education industry is gradually picking up where workplace upskilling left off. Flashback to about 5 years ago: McKinsey had predicted a shortfall of as many as 1.5 million managers globally, with analytics knowhow. Today, Indeed.com lists over 60,000 open positions in the US, revealing the gap in data education. US colleges are only now picking up the gauntlet, with 143 of the country’s top 150 institutions offering specialized courses – surprisingly, with a slant towards business analytics. “Companies are looking for graduates with not only the technical skills, but also the business skills,” said Lindsay Montanari from Northwestern University. From where we stand, it looks like the typical employee of tomorrow will have to wear multiple hats, switching seamlessly between data expert, business user, and enterprise visionary. In a few years time when you’re doing so, we’ll see you there. good briefing on data democratization and all the important things related to the data education.thank you.